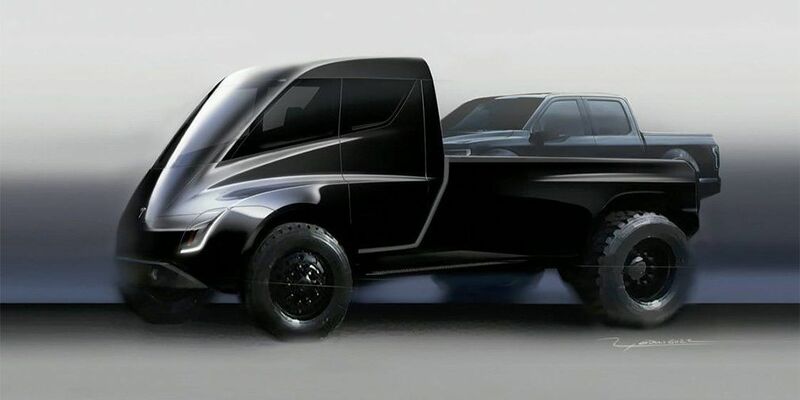 Tesla Motors electric pick-up will get a futuristic design in cyberpunk style. So said Elon Musk in an interview with Recode. Musk can't yet speak in detail about the new product, but it will turn out to be a futuristic machine from the universe of the movie 'Blade Runner'. Pick-up is incredible and amazing. The car will be large, with 6 seats, with a range of 650-800 km. Recall pickup in the standard version will get 2 electric motors and all-wheel drive system. In the basic variation will appear an adaptive type air suspension, which will automatically adjust optimally 'depending on the specific load'. Another pick-up truck will receive the Autopilot proprietary semi-autonomous drive system, the function of fully auto-parallel parking and an all-around system. Most likely, the Tesla pick-up will be serial since 2020.